Ian Kim, 16, is a junior at Saratoga High School. 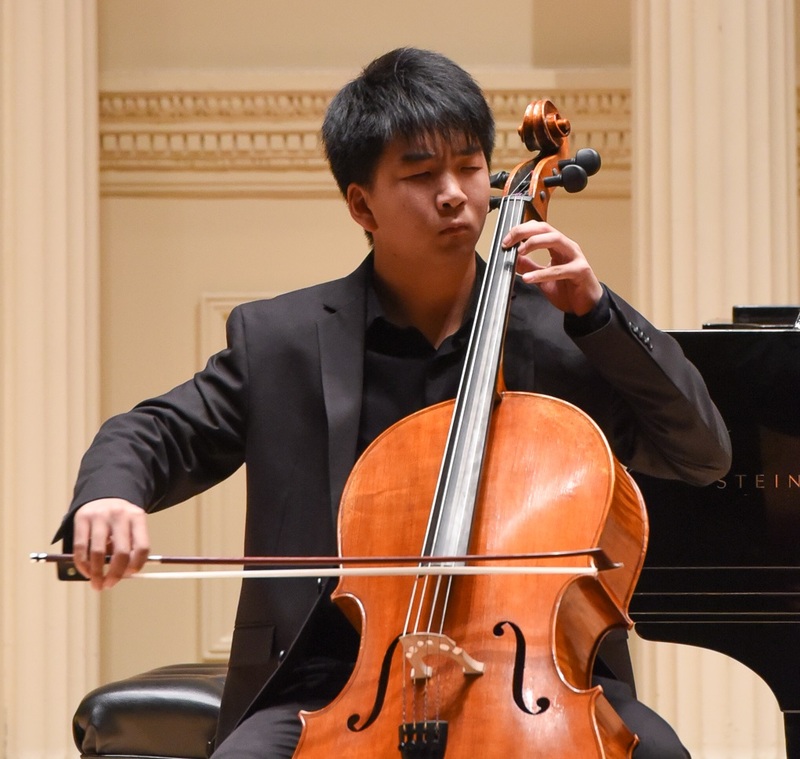 Ian began playing the cello at the age of nine and is currently studying with Jonathan Koh. A winner of many competitions, Ian’s prizes include the first place in the DVC/HNU Young Artist Strings Competition, the first place and the Judges Distinction Award in the American Protégé International Piano and Strings Competition, the first place in the American Fine Arts Festival Golden Era of Romantic Music Competition, and the first place in the American Protégé International Concerto Competition. Ian also won Saratoga High Concerto Competition for which he made his solo debut with Saratoga Strings Orchestra in 2016. Ian is also a semi-finalist in the Mondavi Center Young Artist National Competition. Ian was a member of the Stanford Youth Orchestra and a member of the KAMSA Orchestra during the summer of 2014. He has also participated in the Chamber Music by the Bay in 2015. He is currently a member of Narratio Cello Quartet and a member of [un]baroquen Piano Trio at the California Music Preparatory Academy.